I got myself into trouble about three days ago. ....I prayed to God for wisdom. ....And I think I may have even prayed for wisdom about prophecy. And many of you know how much trouble you can get yourself into if you pray for wisdom about prophecy. God often shows big signs. I didn't get much sleep Tuesday night , because I was so energized by what I realized, the day after I prayed for wisdom and it was hard to sleep. I am going to speak rather boldly in this post, though not against anyone, but strongly in favor of something. I may be highly controversial. Nonetheless, please understand that I really want to hear honest feedback in the comments section or on the forum. Such honest feedback will help me see if I am chasing a fantasy, or if there is something going on here. This post is really long. But I am really anxious to see what everyone else thinks. So I beg you to bear with me. This post requires a level of background knowledge about the ENP Theory. The intended audience for this post anyone interested (not just followers of the theory). But this post will make a lot more sense if you have background knowledge of the theory, through the INFOGRAPHIC or the SLIDESHOW, or both. Other bloggers follow this theory as well (see the right hand column), and may or may not have slightly differing interpretations. Nonetheless, it is a theory with a "family grouping" of ideas. I am going to call the view presented in all the materials above (and other bloggers) as "ENP Theory 2.0." .....Don't worry, I'll still be here when you get back. 3) The Secretary General of the WEU and High Representative Javier Solana became leader of the ten nations, after they added their tenth and final member. 4) Javier Solana's position, the High Representative, was appointed using EU Commission article 666. Furthermore, the WEU recommended emergency powers to him using Recommendation 666. 5) Javier Solana came into conflict with the EU3 or EU "Big Three" in foreign policy matters. These were 3 of the original 10 WEU countries. 6) Javier Solana "confirmed a covenant with many nations and Israel for seven years." For the period of 2007-2013 (7 years, including 2013) the EU has a financial relationship with Israel with the goal of improving democracy, human rights and rule of law. So here, we got a pretty solid theory about who the Antichrist is and when he will be revealed. Considering the evidence, if ENP Theory 1.0 was correct, we know that the Antichrist will reveal himself at the abomination that causes desolation, halfway through the seven year treaty with Israel. Jesus goes on to describe that in this time, it will be the worst distress the world has ever seen. But immediately after the distress of those days, Jesus returns on the clouds. As far as I know, the European Neighborhood and Partnership Instrument was the first seven year treaty with Israel in the history of the world. Furthermore, it supposedly wasn't created by just anyone. It was created by a person who rose to power among a group of a ten nation military alliance. He came into conflict with three of those leaders. And then he "confirmed a covenant for seven years." The original discoverer of ENP theory, the late Herb Peters, had his own great summary of ENP Theory 1.0. So we waited eagerly for mid 2010, for the abomination of desolation, and after that, on an unknown date, the return of Jesus Christ on the clouds. Obviously, much to our great disappointment and frustration, this didn't pan out. It was almost as if God's word had failed us (though we all know, that is impossible). Many other bloggers even prayed for wisdom on this subject, and had some pretty interesting things happen to them. 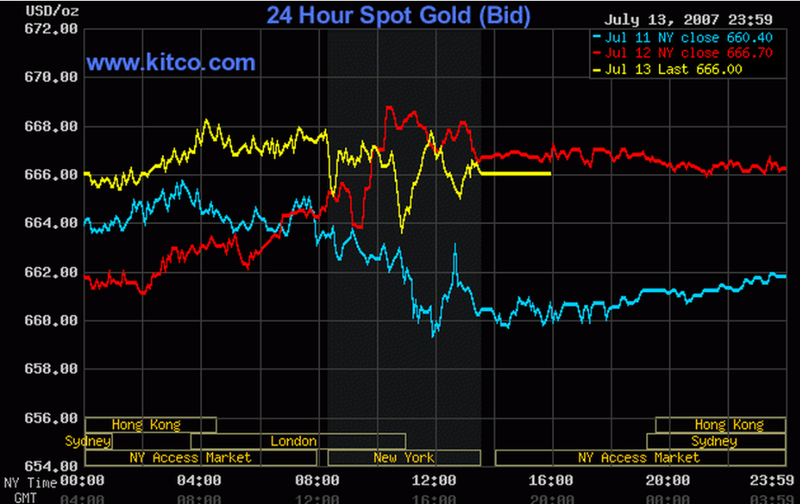 One saw the price of gold in the markets become exactly $666.00 dollars on Javier Solana's birthday. Another (perhaps Herb) prayed for wisdom, and then he saw Javier Solana at the top of Google news on 06/06/06, negotiating a deal with Iran, after overcoming the big three in negotiations. Interestingly, Javier is never in the news, especially American news. So if all of this was happening, then why on earth would God give us a 7 year covenant with Israel, and have it not be the real one?!?!? Why would he allow us to be deceived by a "sign" which was really no sign at all? After a while, we started to pick up the pieces, and based on that, put together a "good" theory. But even as though we were afraid to admit, we were still nostalgic about ENP Theory 1.0. It left a mark on us all, that we will never forget. So even though ENP Theory 1.0 was a great theory, we had to settle for an "alright" or "good" theory. We all secretly pine for the days when we had certainty under version 1.0. After all, if a "great" theory proves wrong, who wants to replace it with a theory that's less great than one that failed?! And again, what's with all the 7 year covenants with Israel? God said the ruler who will come will confirm a covenant with many for one seven. But now, we got at least 2 or 3 covenants with Israel, that are consecutive and seven years in length. How exhausting! Furthermore, Javier Solana was succeeded by two women. Women can be very capable and competent politicians, but they can't be the Antichrist, thus adding to the confusion. Don't get me wrong. I actually think ENP Theory 2.0 is a lot better than any other prophecy theory out there. It's just fraught with the frustrations and concerns I have elaborated on above. Here, I am going to get into the meat of my primary contention. I will make two primary contentions, one negative, and one positive. One will negate a previously held view. The other will affirm a new view. In 2003, Chris Patten, EU External Relations Commissioner, and Javier Solana, High Representative for the CFSP, published a paper called "Wider Europe." This paper recommended the creation of a new "Neighbourhood Policy" or "Neighbourhood Agreement" to help develop better ties with the EU's neighbors, particularly in the East. Also in 2003, Javier Solana was tasked with developing a new security strategy for Europe. This paper, called European Security Strategy, was important in the development of the EU's common foreign and security policy. In this paper, Solana called for the EU to be a security actor in the neighboring countries, to make a safer and more secure Europe. In October 2003, the Council "invited the Commission with the contribution, where appropriate, of the High Representative to present in the light of the conclusions of June detailed proposals for the relevant action plans early in 2004 in order to take this matter forward by June 2004." 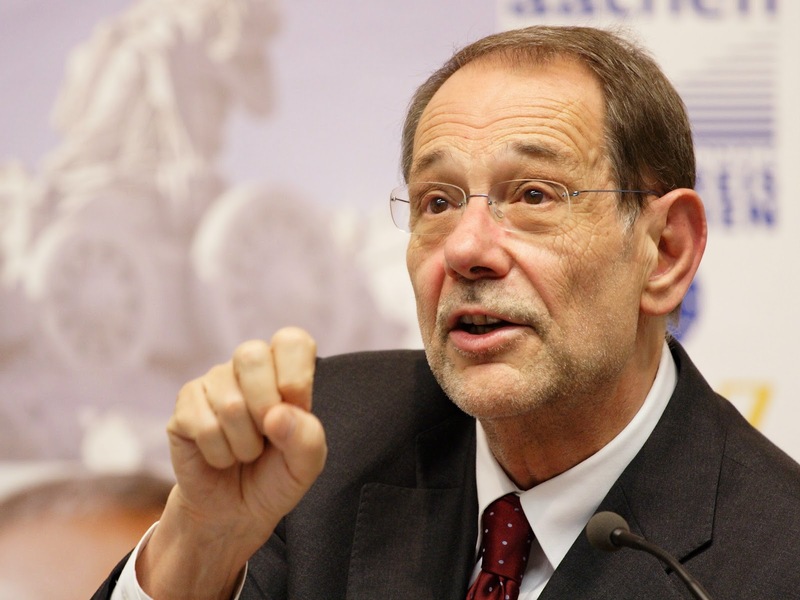 Javier Solana played a big role in developing the European Neighborhood Policy. He and the Commission worked closely to develop it. After all, he was the one who was credited with the diplomatic achievement of the failed Euro-Mediterranean Partnership (Barcelona Process) back in 1995. But, according to this analyst, the ENP was largely the Commissions baby. Did Solana confirm a covenant with many for one seven? Solana did play a very important role in the ENP's inception. He came up with the idea of establishing the Barcelona Process (1995), which eventually became the Euro-Mediterranean partnership. 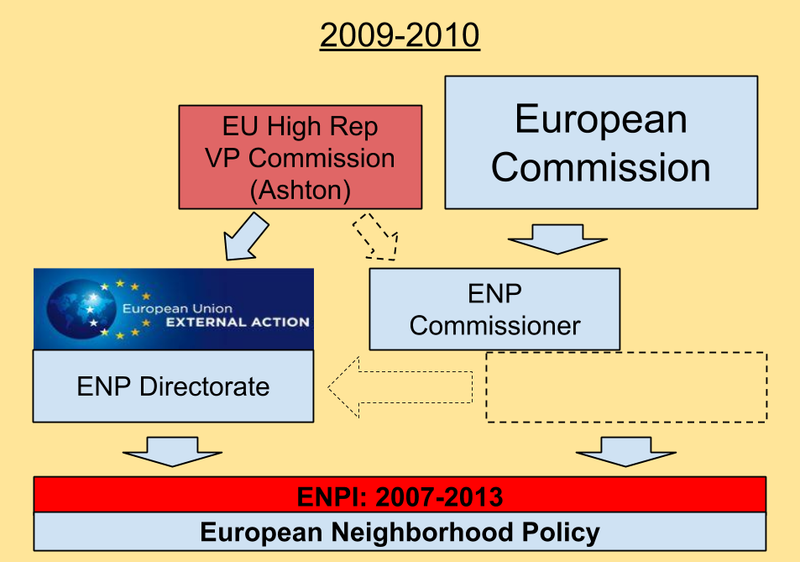 He also was co-author of the 2003 "Wider Europe" paper that inspired the Commission to do the ENP. He also wrote European Security Strategy in 2003, emphasizing the need for the EU to have a secure neighborhood. Furthermore, he assisted the Commission in the creation of the ENP. But here's the problem. The Bible doesn't say "he will confirm a covenant with many nations to enhance their bilateral ties." No. It says he will confirm a covenant with many for one seven. Back in 2007, the High Representative wasn't as powerful as it was today, especially from a legal standpoint. The HR wasn't a member of the Commission like they are today. Furthermore, Solana had nothing to do with the European Parliament. So as far as the seven year covenant is concerned, he had only one formal connection to the ENPI: through the Council. Dr. Solana was indeed the Secretary-General of the Council. Indeed, it was the Council who lobbied for Solana to have more influence over the ENP, to increase their own influence over it, since Solana was the Council's man. While the Secretary General did have some influence, I highly doubt it had any voting rights at all and he didn't even preside over the Council. The rotating President chaired its meetings, not the Secretary General. Remember, Recommendation 666 suggests that the Secretary General be able to convene the Council in an emergency. After the Lisbon Treaty (2009), the new HR actually can chair one configuration of the Council. But not back then. The fact that they recommended he be able to convene the Council, but only in an emergency, implies he wasn't already doing so. Solana had no legislative authority at all in any of the bodies above. None of the documents I linked even mention him, the high representative, nor even the Common Foreign and Security Policy. They don't even mention the Council Secretary General. This might not be too unusual, considering they don't mention the President of the Commission. But they do both specifically mention the President of the European Parliament and the President of the Council (who wasn't Solana). If you go ahead and Google "Solana + ENPI" the entire front page is prophecy sites. There is not a single EU page on the front page of Google if you type in those two words. But why is this, if Solana is so closely tied to the ENPI!?! There is an important distinction to be made here. 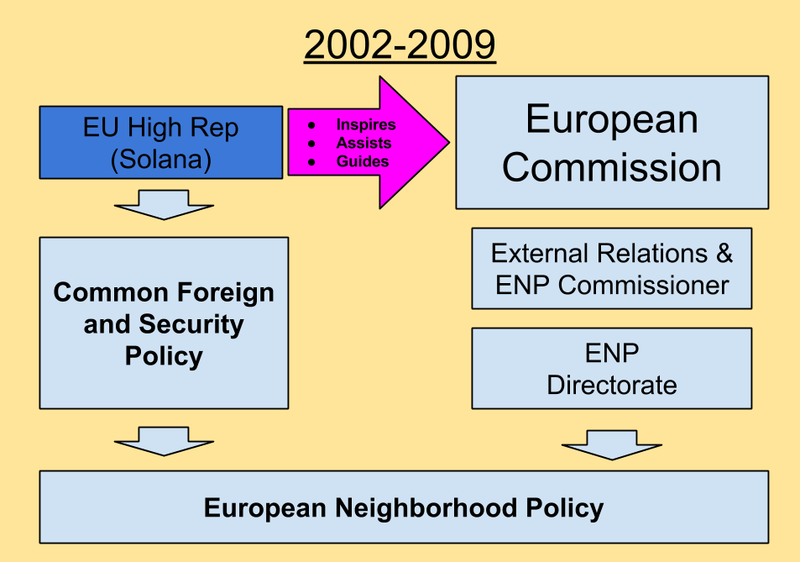 Solana had a very important role establishing the European Neighborhood Policy. But it seems he had very little involvement in confirming it for seven years, with the ENPI. Therein lies the problem. This fails at an absolutely critical point. The Bible says nothing about an ENP. Only a ruler who confirms a covenant for seven years. And on that very point.....our evidence seems weakest. He simply had no legal authority to actually confirm it for seven years. He was totally absent in the actual legislative process. NIV uses the word "confirm" to talk about what the Antichrist does to the covenant. More literal translations, such as ESV and NASB, talk about him making a "strong" or "firm" covenant. It seems even if we interpret it using the more literal translations, the case becomes even weaker still. Though the High Representative provided inspiration and guidance for the ENP, the Commission & Council handled the ENPI, the part that was actually 7 years. 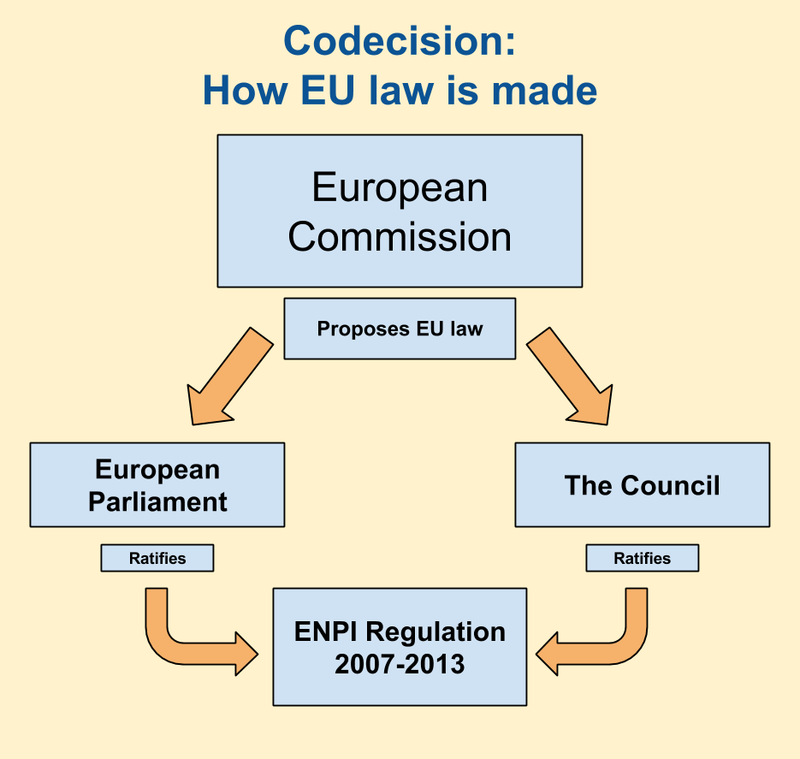 It seems, objectively, the Commission is the main actor in the ENPI. Furthermore, Daniel 9:26 speaks of a prince or a ruler that will come. We learn in verse 27 that he confirms a covenant for seven years. Now, its awful tough to defend an idea about a "ruler" or "prince" who confirms a covenant for seven years, without actually having any legislative authority to make the covenant come into existence! The Council certainly confirmed the ENPI, by ratifying the regulation. But Solana can't vote on the Council and he wasn't even it's President! It is clear that Jose Manuel Barosso, the President of the European Commission was a "ruler" more heavily involved in this than Solana was. Same goes for the President of the Council and the European Parliament. And we never thought they are the Antichrist, because their job positions didn't have the same prophetic connections the High Representative did. They say hindsight is 20/20. This is a popular reference to the phenomenon known as hindsight bias. Many of us have experienced this phenomenon when struggling between two answers on a test. When the teacher finally reveals the correct answer after handing the test back, we yell "Aww shoot! I knew it!" This is hindsight bias. You really didn't know it all along. You just think you did. So that is one of the biases we have to guard against in the study of prophecy, or in the study of anything really. Should we have known that Solana wasn't the one, from the very beginning? Hard to say. Of the main features of the theory, he had the weakest direct legal connection to the ENP. This was evident by the fact there weren't any legal documents linking Solana and the ENPI. But what were we supposed to think at the time? Solana came up among a ten nation alliance, and had a position that steadily rose to influence and came in conflict with three of those original ten nations. Furthermore, he had all sorts of 666 connections attached to him. So when the EU makes a a treaty with Israel that he is partially involved with, and the Commission confirms it for seven years, of course we are going to think its Solana! To guard against hindsight bias, we aren't allowed to say "I knew it!" or "I should've known!" But there is something we are allowed to say. We are allowed to say "I know it now." But in our case, we have the test results back. Though we can't say we knew it all along, we are allowed to say we finally know the answer. We now know, that Solana did not confirm a covenant with many for one seven. He helped make the ENP. But the ENP was still mainly a Commission thing. And the seven years part was certainly a Commission thing. Not a High Representative thing. ....But has this changed at all? Is the High Representative in charge of the seven year portion of the covenant today? This takes me to the second, but most critical point of my argument. This second point has the most evidence going for it. Even if you disagree with my Contention #1, Contention #2 proves most of what I am trying to prove. Because even if Contention #1, is even possibly true, it greatly enhances the evidence of Contention #2. Let's look again at the legislation that creates the ENPI and the new ENI (2014-2020). As we noted before, the regulation establishing the ENPI (2007-2013) doesn't mention the High Representative or the Common Foreign and Security Policy anywhere. If we just look at the legislation, we would have had no idea Solana even took part in any of the 7-year aspect. Now, lets look at the new seven year covenant, the European Neighborhood Instrument (2014-2020). This Regulation shall apply in accordance with Decision 2010/427/EU. Hmmm. I wonder what Decision 2010/427/EU is? Let's have a look. This is the decision that establishes the creation of a European External Action Service. The EEAS is the EU's "diplomatic service" which basically manages all of the EU's foreign delegations (basically: EU embassies) in other countries. It also handles the EU's "foreign policy" to the extent that it has one. The EEAS is new in 2010 and reports directly to the High Representative. On an EU org chart, the EEAS is kind of off to the side, and doesn't report to anyone else except the HR. It's "functionally autonomous" and is under the authority of the HR themselves. Wow! Look at that! This Council decision places the ENPI, specifically seven-year portion of the ENP, under the authority of the High Representative! Remember, we couldn't find any legal connection between Solana and the ENPI. But now, with this new EEAS places the 7 year ENPI right under the High Representative. And this is why the Council Regulation establishing a European Neighborhood Instrument (2014-2020) says, in Article 18, that the ENI instrument is in accordance with this council decision setting up an EEAS. It is acknowledging the High Representative's role in the new ENI, just like she had with the old ENPI. This clause was not in the original ENPI (2007-2013)! But it's here now. Ironically, this happened on July 26, 2010, a mere five days after we were all reeling from disappointment at the "failed" ENP theory. The evidence for this view vastly surpasses simple legal documents. It is the actual reality on the ground. As we saw, Javier Solana inspired, guided, and assisted the European Commission in the development of the European Neighborhood Policy. The ENP helps the EU have a stable region, by offering financial incentives to the neighboring countries, in exchange for those countries meeting the EU's goals for them in areas of democracy, human rights, and rule of law. As we saw above, Solana/High Representative is not really legally connected to the 7 year covenant specifically. But this is the crucial point, as far as Scripture is concerned. In 2007, the European Commission started making 7 year treaties with Israel and its neighbors. Treaty of Lisbon goes into force, making new High Representative more powerful. She is now a Vice President of the Commission. Furthermore, the Commissioner for External Relations is merged with the old High Representative position, making the position more powerful. A new person holds the office of High Representative: Catherine Ashton (F). Treaty of Lisbon calls for the creation of an External Action Service that reports directly to to the High Representative. The Council Decision implementing this specifically places the High Representative and the EEAS in charge of coordinating the ENPI. This is specifically the seven year portion of the ENP. Furthermore, the Commission Directorate General employees who worked on the ENP regions are now automatically hired into the EEAS, under the authority of the High Representative. Furthermore, the ENP Commissioner starts working more and more closely with the HR. Regulation establishing the ENI (2014-2020) comes into force. It is a strengthened ENPI, also under the EEAS and the High Representative. Catherine Ashton, works closely with the ENP Commissioner on ENP topics, working out of the EEAS building. New High Representative Federica Mogherini (F), moves her office to the European Commission. The new Commission President has a new organizational arrangement, in which all 28 clusters are grouped by topic. 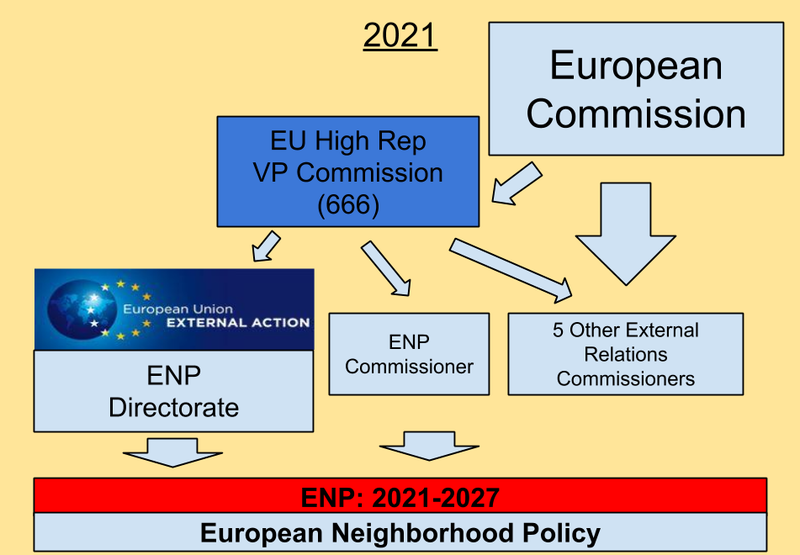 The new Commission President places the ENP commissioner and 5 other external relations commissioners underneath the High Representative, increasing her power over the ENP, and in general. "As a vice president I am responsible for coordinating all elements of the EU’s external relations." she chairs monthly meetings of all commissioners with an external portfolio, such as "trade, development, humanitarian aid, neighbourhood policy but also energy and climate, migration, to ensure the coherence of the EU as a global actor". In addition to being one of the main VP's of the Commission, Mogherini is also a "cluster vice president." Juncker has made an additional layer of management under himself, and these are the cluster VP's. Go to this website and click on the High Representative, and you will see what I mean. A Radical Implication: ENP Theory 3.0? In the images above, we see the High Representative perform a gradual takeover of the ENP, and the seven year portion as well. Contention #2: The High Representative now has been granted authority over the 7 year covenant, and the whole ENP program. Oh but wait....there's a problem. When the 7 year covenant was given to the High Representative, a woman held the office at the time. And.... oh but wait...another woman holds the office now as well. Women may be perfectly competent politicians, but they cannot be the Antichrist. Being a woman is a pretty good firewall against being accused of being the Antichrist. However, these two women are turning out to be more important than I thought. Leading us to a radical implication. Have you noticed it yet? Radical Implication: We have NOT yet had a man who was High Representative confirm a covenant with Israel for seven years! So whenever a man takes the office, he will truly be a "first" as far as prophecy is concerned. Furthermore, he will have a much more intimate and deeper connection to the seven year covenant than Solana ever had. So even if you disagree with Contention #1, this still makes ENP Theory 3.0 a better theory than the original theory. If this is actually true, its mind boggling. You see, if they selected a man, we would immediately indict that person as the Antichrist. However, the truth still goes even deeper than that. The first man that is High Representative at the start of one of these 7 year cycles will be the very first to fulfill the prophecy about the 7 year covenant and simultaneously be connected with all the prophecy stuff surrounding the High Representative. 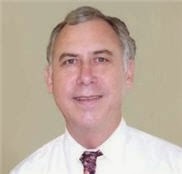 Herbert L. Peters, in his book recommendation 666, seemed to explicitly state that the High Representative position might represent the office of the Antichrist. This could be Solana or someone else, but he took a keen interest in Solana. Nevertheless, even back in 2004, he didn't feel tied down to a specific person (i.e. Solana), because he believed the High Representative could be the office of the Antichrist. Under ENP Theory 1.0, we were tied down to Solana because we thought he also confirmed a covenant for seven years. 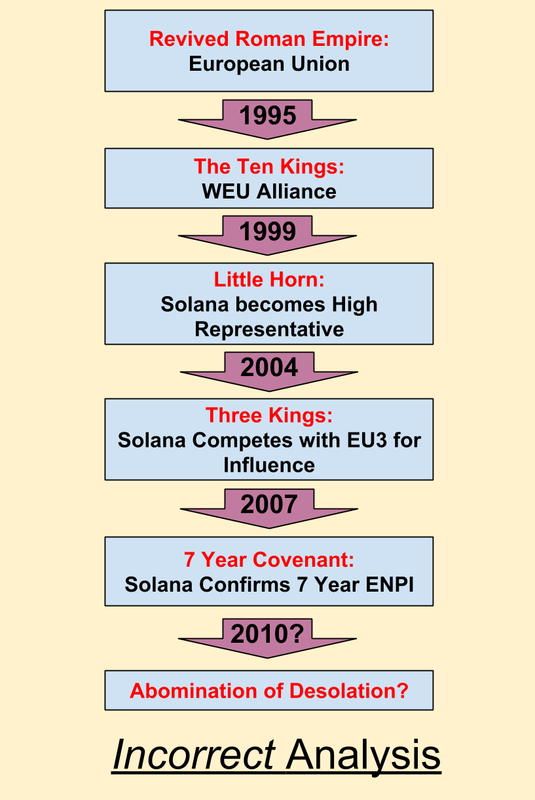 As I have illustrated in this post, Solana was actually not legally connected to the passing of the regulation establishing the 7 year ENPI. Thus, we don't have to be tied down to a specific person. This isn't special pleading, because Herb thought the HR could represent an office, long before the theory "failed.". Since we haven't had our "first" seven year covenant yet with the High Representative, we aren't tied down to a specific person. Therefore, the fact that a few women have held the post is thoroughly inconsequential. For sake of simplicity, I will call this new interpretation of events ENP Theory 3.0. This is the part where I defend my contention. But of course, I would really really love it if you commented (agree or disagree) in the comments section. I want to see if this update stands up to scrutiny or not. This new ENP Theory 3.0, as I am calling it, is actually better than ENP Theory 1.0 in a lot of ways. 1) A future male High Representative is more strongly connected to the 7 year treaty than Solana ever was...in a really big way. 2) ENP Theory 1.0 didn't have the 10 kings completely integrate into the EU. Now, we can add this fact to the list. (We already knew this in ENP Theory 2.0, but its still an additional fact in the arsenal). 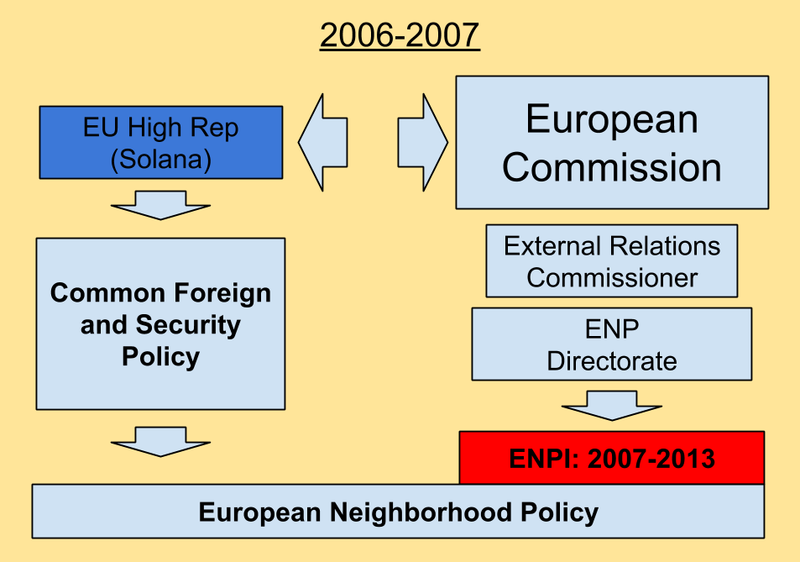 3) ENP Theory 1.0 had Solana increase in power over time, but the increases in the power to the High Representative under the Treaty of Lisbon show that the little horn is gradually getting bigger and bigger with each passing term. (We already knew this in ENP Theory 2.0, but its still an additional fact in the arsenal). Is This Theory Simple Enough to Explain? The next High Representative could very well be a man. And if it is, I would strongly suspect him to be the Antichrist. The next term of office starts in late 2019, just a year ahead of the ENP (2021-2028) rotation. And he will be the first to actually fulfill prophecy! This ENP Theory 3.0 resolves the problem of "multiple seven year covenants." I certainly can't speak for God, but I have a hunch that God might be putting women into office until the Antichrist comes, so we don't get the wrong idea. Because the first man that comes...will fulfill prophecy in a larger way than Solana ever did, even if ENP Theory 1.0 was correct! Even though it took me a huge blogpost to explain it, this makes ENP Theory is a relatively simple idea. (All things being equal, simpler theories are better). Newcomers to the theory won't have the same built-in assumptions we had back when we believed ENP Theory 1.0. So they won't see any "failed" theory, and won't see any reason for Solana to be the Antichrist. All we have to do to explain this update to the theory is explain how the High Representative fulfills prophecy. Then we just say that the Commission started making 7 year covenants with Israel, and handed that authority to the High Representative. So the next man that does it, is probably the Antichrist. Their narrative will have both 1) more facts and 2) more robust facts. 6) EU commission starts creating seven year covenants with its neighbors. In 2010, they transfer the 7 year covenant to the High Representative. 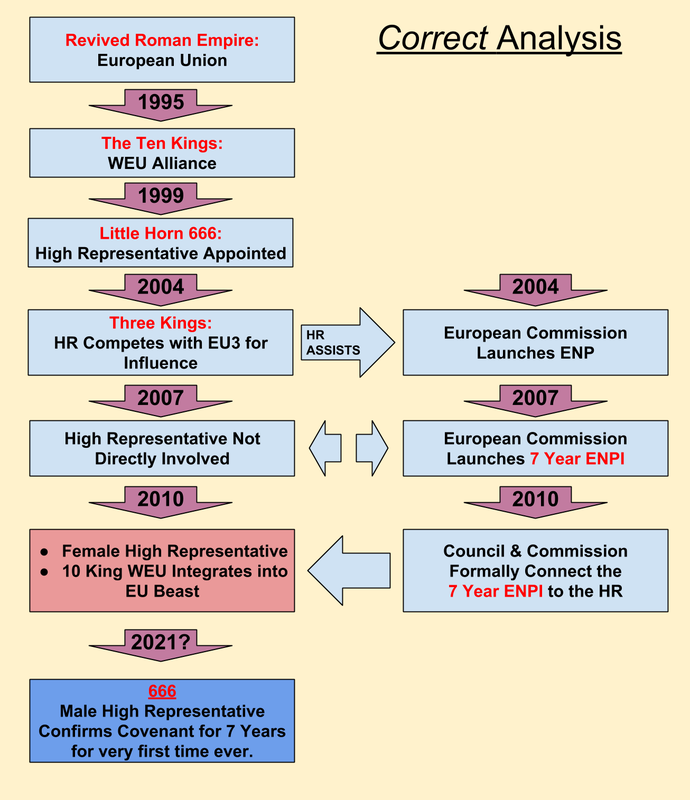 7) In 2010, the WEU alliance integrates into the EU beast, because they have a common purpose, and transfer their authority to the beast at the Treaty of Lisbon. (We already knew this, but it just goes to show that the theory gets better as time passes, not worse). 8) In 2010, the High Representative receives a very significant increase in power. 9) 2021? Male High Representative confirms a covenant with many for seven years. a) Despite helping create the ENP, Javier Solana is not legally connected to the 7 year ENPI..
b) If you Google "Solana ENPI" only prophecy sites come up on the first page. a) The series of diagrams shows how the HR is becoming increasingly in charge of the 7 year ENP, as well as the ENP in general. b) The legal documentation shows how the HR is now responsible for the ENPI. So thats my thoughts. I have spoken quite audaciously, even being so bold to recommend an "update" to ENP Theory. I have spoken boldly to get my point across. But now, I get to hear from all of you, to see if I am totally off the rocker. What are your thoughts? I have been anxiously waiting until I got this post done, to hear the thoughts of others. Am I reading too much into things? Or are we onto something here? Has God answered my prayer for wisdom? Or am I grasping at straws? Thanks for your reply anonymous. Always good to hear from people in the comments! I guess my question would be, why do you think the EU is not the beast? Why can't the current seven year arrangements be the framework by which the Antichrist establishes his covenant with Israel? Good to hear from you Anonymous. Hope you are well. It seems, legally speaking, Solana wasn't as closely connected to the ENPI as we thought he was. But it is quite fascinating that the ENPI was handed over to the High Representative, when prior to that the High Rep did not have any formal legal connection to it. In addition, I see why the idea seems like it might be pushing the envelope, but consider this. The heads of state of each of the WEU countries never stayed the same. So really, the WEU "offices" of each of the heads of state are the ten horns, not specific people. In the same way perhaps it is acceptable to interpret the little horn as an office as well, with its last officeholder being the Antichrist. Even Herb Peters was open to this in his book Recommendation 666, long before any theory "failed." Furthermore, the interpretation of the vision, Daniel 7:24, seems to say that the only qualification of the AC is he comes after the ten kings and subdues three. Which a future HR could easily do. He would come after the WEU and subdue 3 kings. Or we could interpret the king that arises as the High Representative and the "he" that is being talked about is the high representative, who will persecute God's people for 3.5 years (and also be the AC). Nevertheless, the ten nation alliance is a good interpretive framework with good precedent among theologians. But in reality, the Bible speaks of ten kings, not ten nations. Of course, each of these kings has a kingdom. But then they give their power and authority and kingdom to the beast. This happened at the Treaty of Lisbon and the dissolution of the WEU. As we know, the Lisbon treaty has a weaker defense clause than the original article 5 of the modified Brussels Treaty (WEU). However, in their closing statement, the ten reaffirmed their commitment to the principle of Article 5. One EU analyst stated that since the ten deemed the Lisbon treaty defence clause as being a successor to article 5, this is the case insofar as it applies "for them" (he put in italics.). So though such an interpretation is not demanded by the new Lisbon mutual assistance clause, it appears the ten interpret it that way. Other EU countries have various optouts and such, which is why some analysts say the EU mutual assistance clause lacks teeth. However, the ten who were in the WEU, those ten kings live on as part of the beast, and remain committed to self-defense in the fullest terms. The ten kingdoms may be dissolved into the EU. But the ten kings live on, the offices of each of the heads of state of the WEU have gone no where. It is clear that the ten would in any case, represent the "hard nucleus" of any EU defense effort, even though they aren't formally organized as ten. The beast being the EU kingdom, and these ten would be ten horns that are part of that beast. I am very interested in hearing your thoughts on this subject. Perhaps this is pushing the envelope but I am not sure. What do you think? In addition JS may still be called back to power. That is no more a miracle remaining to fulfill prophecy than any other. His very age might be an additional quality allowing for his return. I agree it is unlikely and do not promote this to others. Great article. I know I am late to the show but I started researching this when I stumbled upon Ted Montgomery's website. One note to point out is you stated "new High Representative in 2021." Wouldn't it be plausible for the Antichrist to intervene prior to the end of the 2020 ENP agreement? I only say this in conjunction with the shemitta cycles and the "return to build" given to Jerusalem in 1967. In other words the clock has been ticking since this time (my belief). With that said, I know there is a great discussion on Shemitta cycles and the correct years to project the factual timeline leading to future events / Rapture, antichrist, Great Tribulation etc. Anyway, something to ponder and thank you for the very detailed article. I have printed for reference and study in conjunction with the Bible.